Today, I participated in Tour de Katsurao cycling event at Katsurao Village in Hamadori Region. 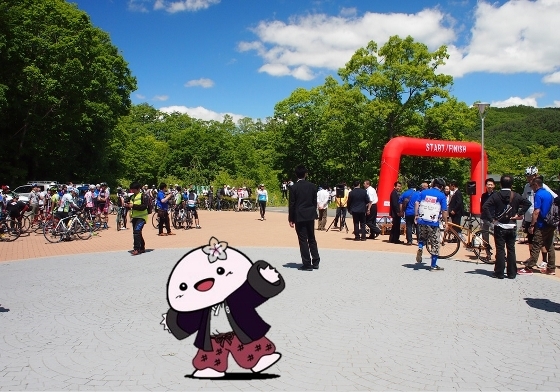 It was the first cycling event ever held in evacuation lifted area affected by TEPCO’s nuclear plant accident. The course mainly went through beautiful mountain forest area. 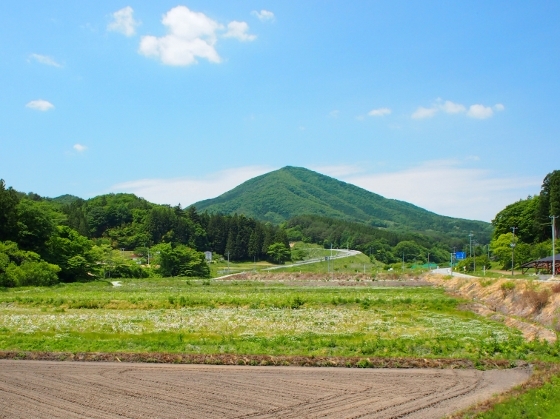 A photo above was a view of iconic Mount Tatsugo (921m) which was also called Katsurao-Fuji or Mount Fuji of Katsurao. 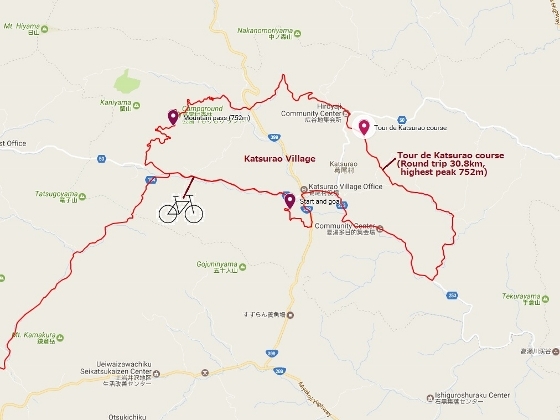 A map above shows the cycling course which is about 30km long with the highest mountain pass of 752m near Morimori Land campground. The event was promoted jointly by Link TOHOKU and Katsurao Village. Today was one year anniversary of evacuation lifting last June. 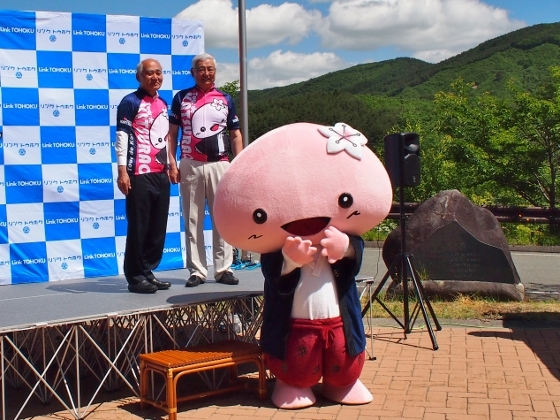 Photo above shows a cute Katsurao Village character “Shimi-chan”, the Minister of Reconstruction Yoshino, and village mayor Shinoki, who also attended the opening ceremony as shown above. Photo above shows a view when cyclists are waiting for a start. About 150 cyclists from east Japan participated in the event. 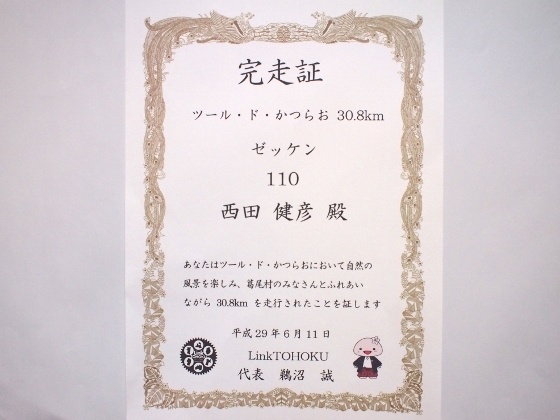 Luckily, I was able to make the goal successfully within the time limit as shown in the certificate above. I would like to thank all the people who organized the event and all the volunteers who supported it.